With miles of coastline and plenty of things to sniff, your four legged friend can live the dream in one of our Myrtle Beach pet friendly beach homes! We've put together a special selection of beach homes that welcome Fido with paws wide open. 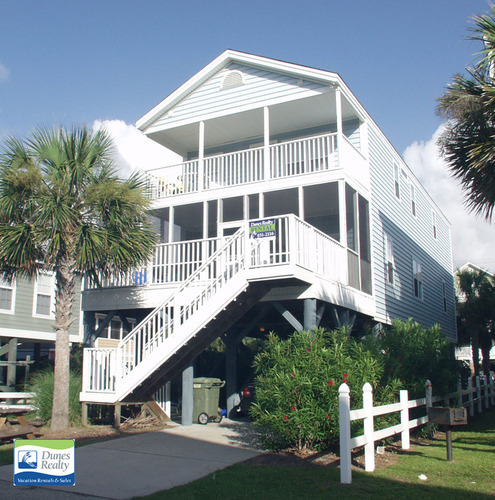 These homes are located in Surfside & Garden City Beach, which is on the South End of Myrtle Beach. (We do have one pet friendly home in North Myrtle Beach - High C's.) Book your vacation in one of these beautiful homes and rest assured the whole family will enjoy a DOGGONE great time!